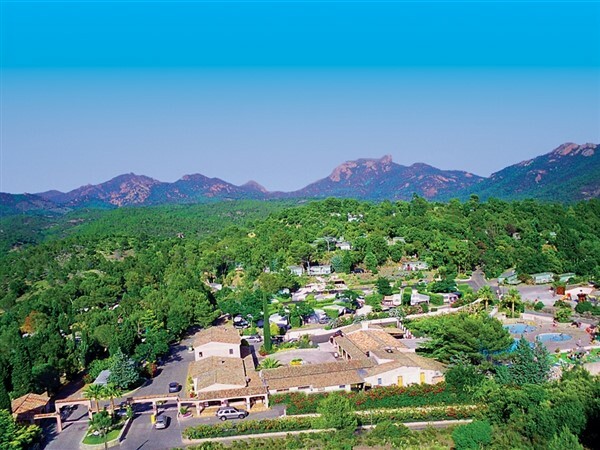 Spend your holiday on a 5* campsite in the French Riviera with mobile home accommodation, set in breathtaking scenery in the Esterel hills. 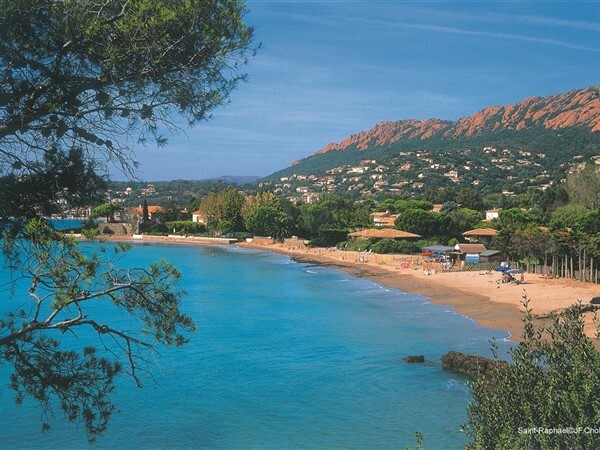 It is with pride that Esterel present to you new for 2019 a beautiful sandy beach. 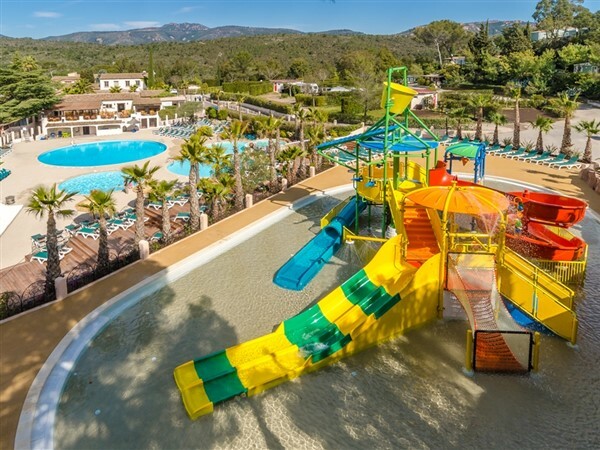 Spend your holiday on a 5* campsite in the French Riviera, set in breathtaking scenery in the Esterel hills. Situated in the very heart of the Esterel forest, you only need to step out of your mobile home to discover the wild beauty of this nature reserve. This is an ideal spot for nature lovers with its superb walks, from a gentle stroll to a hike in the mountains. Relax by the pool or enjoy a drink on the bar terrace overlooking the swimmimg complex. 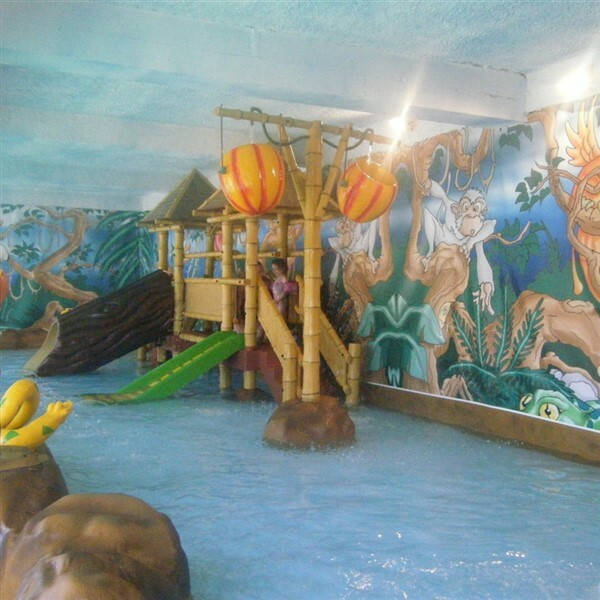 There are non stop activities for all the family to enjoy in a quiet and secure environment. 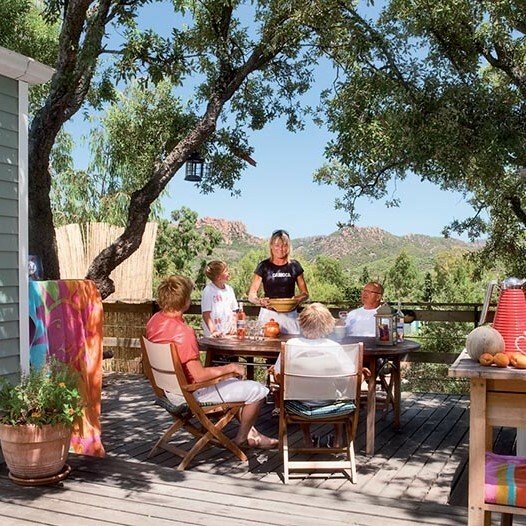 Esterel Caravaning is situated 2.3 miles from the bay of Agay, the ruby of the French Riviera. 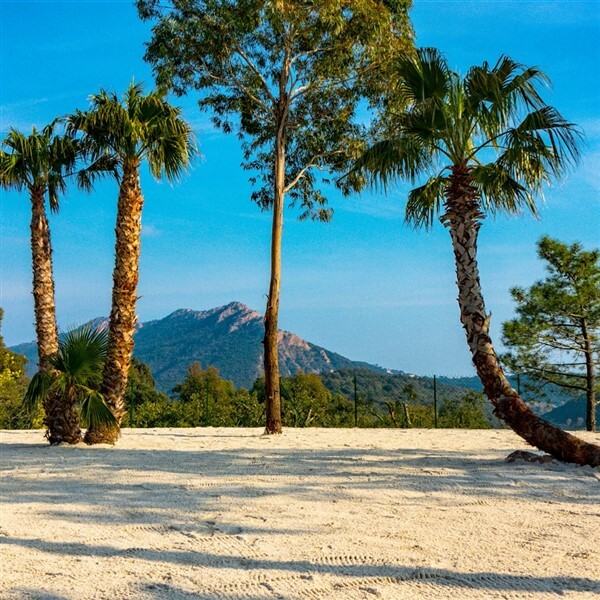 Its 3 sandy beaches are part of the 24 miles of St Raphael coastline. This stretch of shoreline offers you no less than 30 different beaches. Only 30 minutes from St Tropez and Cannes where you can find the international jet set strolling along the coastline. Depart our local area mid-morning for our journey to Dover, with a short ferry crossing to Calais. We then travel through the night to our destination Agayon the beautiful Cote d'Azur, making comfort stops en-route. We arrive at Esterel 5* campsite mid-morning. On arrival please report to reception where you will be issued with your keys for your mobile home. Your luggage will be delivered to your mobile home. A full day on site. A morning in St Raphael, this is a large seaside town, nestled beside Frejus. A full day excursion to the picturesque city of Cannes. We depart for a full day tour to the pine scented resort of Antibes. An afternoon/evening to the lovely resort of St Raphael.A morning at Le Muy market where you can purchase some of the finest French cuisine. A full day excursion to the sophisticated resort of Nice. Enjoy a full day optional excursion to Monaco. 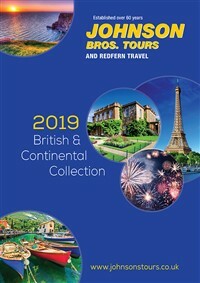 £24.00 per Adult & £14.50 per Child - payable before the departure date. A full day to St Maxime, which lies on the Northern shore off the gulf of St Tropez. A full day on site to relax and enjoy all the amenities it has to offer and prepare for our journey home. We depart Esterel mid-morning, retracing our steps for our homeward journey. We arrive back at our local area approximately midday.